This is a Good-buy! 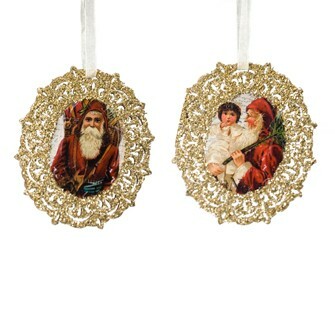 Wood filigree ornament, glittered in gold with vintage images of Pere Noel (Santa). These are 3.5 inches tall and you may choose from two vintage images.